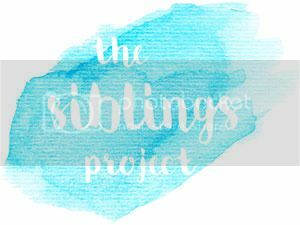 This month, I actually took the photos in time for our siblings project but still managed to link up late. They’re only quick phone snaps on our way to swimming but we have all four kids in the same frame- result! We were lucky enough to be invited to Bluestone Wales (full post coming soon). It was so nice to be able to give the kids a lovely surprise after all they’ve been though this year. We had our ups and downs on “holiday”- excited kids that wouldn’t sleep at night and then moody tired kids the following day but overall it was lovely to see the kids playing together and being a team of their own. They made lots of friends in the play areas of Bluestone. I noticed how caring and nurturing they all were to the other kids there, in return they really enjoyed having additional “fresh friends” who weren’t their siblings to play with- they do say a change is as good as a rest! As the older kids mature and have a lot more independence I know I can relax knowing that if they’re together, they’ll be safe and have each others back. I remember these days with my big sister, Jo and also when I was trusted enough to look after my little sister, Ceri. The memories you make on your own, you treasure forever and they teach you important lessons for future life. I’m so glad these kids have each other and although there are times when they fall out or don’t get on, deep down they always love each other deeply and always care and will be there for each other.